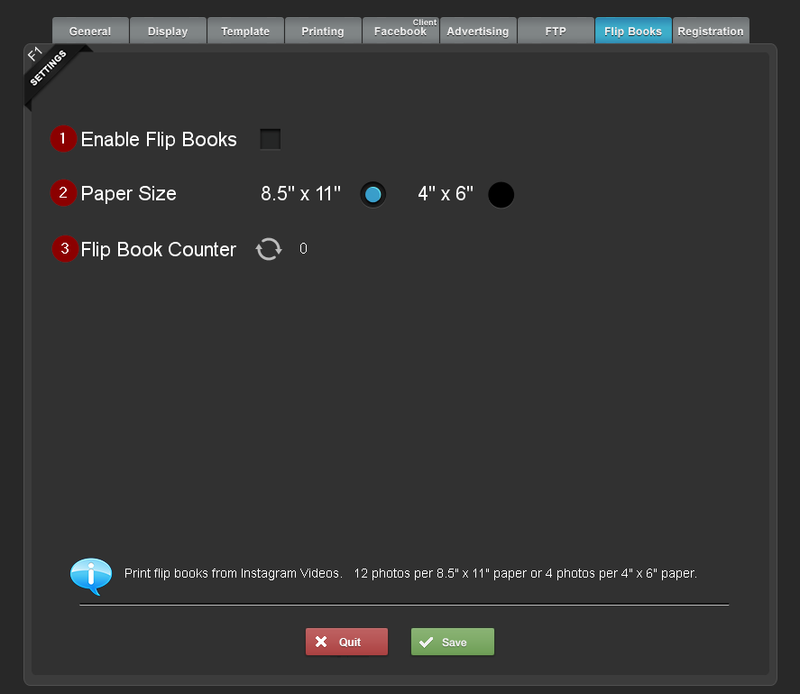 Enabling this option lets you print Flip Books from Instagram videos. BYO Booth will download the videos from Instagram and print out a number of frames that can be cut and stapled together to create a flipbook. Note: Flip books do not auto print. They only print when the print button is selected from the popup window when the video is selected. You can print flip books on either 8.5" x 11" letter size or 4" x 6" photo paper. A 15 second video from Instagram will make 60 flip book pages. If you print on letter size paper, there will be 12 frames per page, resulting in 5 printed pages. If you print on photo paper, there will be 4 frames per page, resulting in 15 printed pages. This will keep a runny tally of how many flip books were printed and can be reset with the reset icon.